All of the below information comes directly from job reviews written by UK Power Networks employees based on 151 reviews. Did you boil a kettle to make a coffee this morning? Or charge your iPod? Or turn on the lights while you brushed your teeth? Have you jumped on the Tube recently or jetted off from one of the major airports in the South East? All of these events could not have occurred without UK Power Networks. As one of the UK’s largest energy distribution companies, a quarter of the population rely on us to go about their daily lives, being responsible for delivering energy to our customers regardless of whom they pay their bill to. We’re striving to become an employer of choice, a responsible and respected corporate citizen and sustainably cost efficient. If you want to play a role in influencing the energy industry’s future, then we would very much like to hear from you. We believe this combination of training and hands-on project work and competitive benefits will get your career with us off to a flying start. Speaking with a variety of people on a daily basis and having responsibilities. The flexibility with regards to start and finish times (workload dependent). The variety of activities I get involved in. As a Field Engineer, I'm involved with new customer connections, inspection and maintenance activities, faults and repair work, project management activities and supporting the transfer of innovation projects into business as usual practices. The people I work with are always willing to help, friendly, kind, reliable and highly skilled. The knowledge that surrounds you. There is a lot of technical knowledge you can gain and very complex work. Training has been set up to help you gain an understanding of the work on the network and how each department interacts. The best thing, you are able to push yourself and the exposure. The variety of work day to day. The fact that I can be trusted with business changing tasks and how open my manager and the team I work within are. There is always a way to develop and I feel supported in everything I do. Highly interesting and engaging work with good pay. Lots of opportunities, a lot of choice in terms of projects. Great team and learning experience, availability of a variety of training. The opportunity to put into action the theory obtained from university. The job allows you to begin to understand the practical aspect of what you already know while building you into a competent person within your area. Creative, self-lead, infinite opportunities, amazing international team, true team work and support. We have wonderful people working with us. Multiple opportunities to work in various sectors of the industry and gain experience in all. Comprehensive initial training structure in place at the start of the graduate scheme. Different day to day working environment. - Always pushing you to go further. - Always interested in how you are doing within the company. - Generous salary even as a foundation apprentice. - Challenging work to keep you busy. - Occasional pay rises to motivate you to complete all your tasks. - Guaranteed life long career so long as you stay out of trouble. Help is always given when needed. Great working environment, with good work colleagues. Salary is very competitive and great company benefits. Doing something different every day. The opportunities the company give is amazing. Being free and being able to move around and get fresh air. Also the ability to make extra money with standby and overtime. Good work, great team and good hours and wage. The challenges it creates and it's enjoying work. The responsibility of work, good workload. Meeting people with the same motivation and goals as you, everyone understands, some people take longer than others and everyone is very respectful. Colleagues around me make the work enjoyable and motivate me. You learn something new everyday and your always improving no matter how experienced you are. Understanding of the industry and challenges to innovate. Good background research into past innovation projects. Don't overcrowd your CV, state the modules you did at uni that are relevant to the role you're applying for. Read up on the company, visit their website and get to know about them. Know the company values/visions and get a feel for their ethics. Know the basics if you can, you don't need to be an expert. Research the company and industry as a whole. Ensure your most important skills are highlighted on your application. All examples from university, work, and personal life can be used to highlight competencies. Practice mock interviews if you can. You're not expected to know everything at this stage and it's alright to say you don't. What's being assessed is your thinking process and how you respond to challenges. Research the flow of electricity from power station to final consumer. Be focused, take it seriously. Do your research, come very prepared. Do not be put off by the job description jargon. If you are keen and have a real interest, then read up about the role and go for it. Take time on your Resume and proofread, proofread and proofread. The interview begins when you enter the building and finishes when you leave. Remember to support others, be involved, communicate clearly and be confident. Lastly, prepare your answers and don't wing it. Always have a plan and be prepared for things to be thrown your way. Understand the company and the work they do. Be sharp and confident, the aim is to get you out of your comfort zone. The company is critical for London's infrastructure but it is hard to get your head around what they actually do (if you have limited engineering knowledge). I would suggest trying to get your head around what role UK Power Networks plays in the energy distribution network as this will help you to understand the job role much better. Understand the company operations, research how the energy industry is evolving worldwide and in the UK and the company values. Understand that when you come into the business you will have little knowledge around the inner workings of the company but do try to understand what the business does before you apply. Ensure you have reputable references and try to tailor your CV to the role that you want to enter, without falsification. Be yourself and be honest! Be proactive and engage, even if you are afraid of looking silly. Allow everyone to have an opinion and be inclusive of all others views. Try to play to your strengths in regards to project management, particularly around whether you are a team player, a leader and so forth. 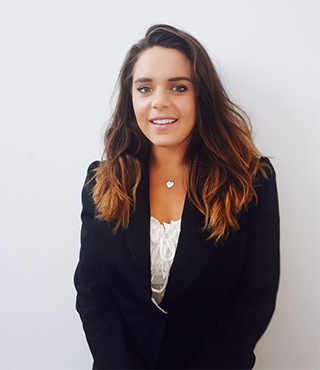 Finally, enjoy yourself, the recruitment team are extremely accommodating, along with all the other interviewers and they only want you to succeed, so give it your all knowing you have accurately presented yourself without fear or reprisal. Do your basic research on UK Power Networks and on the role you have applied for. Brush up on technical knowledge relating to the job spec and be aware of the companies vision and values. Try to complete the application as honestly as possible but at the same time apply for other roles (2nd best and 3rd best). It is always nice to keep more than one option open. Try to be yourself and don't try to overdo things at the time of interview. Keep things simple and concise. Dedicate enough time and do your research. Be friendly and approachable, don't be afraid to ask questions. Be comfortable with the company values and what they mean to the role you are applying to, they look for well rounded individuals that know how to communicate and work in a team. Try to have a good understanding of the role you are joining and what you can bring and what you want to get involved with, it is nice to show ambition. It is a formal/business attire location so make sure to be presentable. Take advantage of the networking breaks if you are in a full day assessment centre, they are extremely valuable! Try to be precise and brief about your achievements and skills. Try to show your personality and act professional. Make sure your application is truthful, and fully explains the reasons why you are interested in the role that you are applying for. The degree type you have isn't necessarily important for a commercial role, however your application must be strong to be successful. Ensure that you show your ability to work in a team as well as individually. Ensure CV is truthful as will be questioned on the interview. Focus on soft skills rather than technical knowledge. Cannot comment as only had an interview without prior application, due to having previously worked for the company. Know the company vision and values - and find how best your approach to work and ambitions fits in with them. Become familiar with the basics of electricity distribution in terms of the system and industry structure - this will help demonstrate your interest. Remember to be able to justify your reasoning when being questioned - it's not necessarily getting it right that matters, but that you can well justify why you made a decision. Present your knowledge and experience to show that they align with the company strategy. Passion for a low carbon future and having an open-mind towards new ideas are essential. Read up on the company, understand the challenges that DNO's face. Have a basic knowledge and understanding of Electrical Engineering and equipment. Stay calm and confident during the assessment centre. Be precise and try to get your thoughts and ideas across in a concise way. Smile and be confident in what you know. Do not try and bluff when it comes to the technical questions. Say what you know. The interviewer will try to help you get to the correct answer so listen to what they are asking you. Read into the company. Look at the role in depth and think if you can fill that role and what you would bring to the role. Think about what you can bring to the company. What do you like about the company? Research the company, what they do, how they work, company values etc. Be honest, explain what you know and why you are interested in the role. Be really thorough in your application - you never know what will be of interest to the people interviewing you. On the day of the interview, there were >30 people being assessed. Try not to be too shy or nervous - be yourself, but make sure you aren't talked over by other people. Have work experience which is relatable to the job or in the same industry to help you get noticed. Practice interview questions, with fluid answers and relating it to examples where you may have shown that skill. E.g. why are you a good team leader? Think about what you want from your career. Learn about electricity distribution network in the UK and of course, learn about UK Power Networks. Have some of your successful examples ready for the interview. Hard to recall anything specific. Be prepared for the competency based interview - no specific feedback for the assessment centre day. Have an open mind, don't talk over people. Have some general awareness of the regulatory landscape for distribution network operators. Keep it concise, simple and follow the STAR rule! Make sure you understand the company values which are on the website and tailor the answers to them. Engineering Scheme had technical questions on the voltage levels UK Power Networks operates on. There were a few "knowing the business" type questions - e.g. who are the company's stakeholders. This is not shareholders! - which is also important to know. Do your research into the industry. Don't be afraid to admit "I don't know." Be thorough! Respond to each and every point in the application. You don't have to demonstrate that you will change the world! It is not so much about experience or technical know-how, but demonstrating attention to detail, an ability to problem solve and showing willingness to learn and interact with people. Be yourself. Don't be afraid to admit if you don't know something technical. In a dangerous industry pretending to know things gets people hurt or worse. Demonstrate customer focus and safety awareness. Take time to complete the application and to fully understand what the company does. Be honest and be yourself. There are many positions and personalities here so you will fit in somewhere. Phone the company and ask to speak to someone who can tell you more about it. You may then pick up on the important issues to the company and some of the key words used in the industry. Be calm and not pushy. If you don't know something say so and then try to take an educated guess. If you are not very ambitious and you simply want a safe job with an okay increase in salary, go for it. If you are not a high performer may be not. Do as much research into the business/sector as possible prior to completing the application form. Be as honest as possible when answering the questions, and don't be afraid to include something that might make you stand out. It is important not to show off in the application stage, but it must remembered that you are against other candidates so must be able to make yourself stand out from the rest. I personally never tried to be too serious during the interview process. 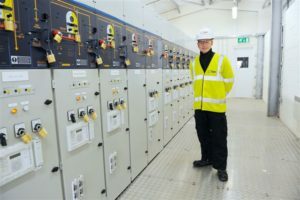 UK Power networks is an organisation that prides itself on diversity which includes different personalities and characters; it is not a business that is looking to recruit robots. Again as with the application process, try to undertake prior research into the business/sector that the business operates within. It is also very important to be confident during the interview process. Having belief in yourself and your ability goes a long way in an interview and shows the interviewer you are able to interact at that level. Do the correct research and learn about the job role. Be enthusiastic and have a basic understanding of how distribution networks operate. Read up on OFGEM and the future of the Electricity Network and how distributed generation and other innovations will effect UKPN and other DNO's. Unless you are forceful in trying to find your own work then I would consider applying for another company instead as you need to constantly fight for work. You should also be very clear in what you want to get out of it yourself as it will not be set for you. Try to think out of the box. The company is recruiting mainly Electrical Engineers but you must prove yourself in a broader way rather than showing your degrees. The final interview was divided into competency and technical questions. Nothing especially difficult, if you do some research about the company, you know what you are looking for and know the basics in your field, you have nothing to worry about. Don't send in a generic application. Take your time and be sure that UKPN feels right for you. Then have a think about UKPN and the electricity market as a whole - not just what is on the website. Make sure you prepare and have a solid understanding of who UKPN are and how UKPN fit into the UK electricity market. From an IS perspective, have a think about technology and the electricity/utilities/energy market in the UK. Show a genuine interest in electrical / civil engineering. Research the company and come to the interview prepared with plenty of questions. Interviewers often ask about the journey of electricity from generation to consumers. Obviously apply early, be yourself and be honest. Identify how you have demonstrated the qualities and values which the company is looking for from past experiences. Look into the challenges of the distribution networks such as decreasing budgets and increasing distributed generation and increasing supply demand. Prepare examples of how you have demonstrated the company values previously. Think about where you want to be in x number of years. What are the challenges in the DNO world. The interviewers are normally nice and professional so relax and be calm. They want to see how you interact with others and how you make decisions. Use common sense and think before you speak. Put time and research into your application, know about the company and answer the questions with UKPN in mind. When it comes to the assessment centre, be outgoing and positive. Don't worry as much about what you say, at this stage its about how you say it. Don't panic, for the technical questions the interviewers will guide you though and direct you towards the answers they want. make the most/ state the importance of pervious work experience. make sure you know the basics about distribution networks and have an idea about future challenges to the industry. Be enthusiastic and bring many examples of leadership skills and key competency skills. There were 2 or 3 questions on leadership. In the event of a worker acting unsafely, what would you do? - Always say that you'll challenge them. Show enthusiasm to learn and provide great customer service. Show an awareness of safety issues - this is potentially a very dangerous industry. Relax and be yourself. The company wants people who can communicate well and learn. Show a commitment to customer service and working safely. There was focus on healthy and safety and customer service as well as engineering questions. Research the company well before hand, knowledge on the industry is useful! Read everything online and understand the regulatory nature of the business. Demonstrating leadership and team work and all of the other competencies should be pretty simple in an assessment centre setting. It is more important to hone in on aspects of commercial awareness and how you can demonstrate this as I think that is the most challenging competency to demonstrate. It's a pretty standard competency based exercise. Prepare answers to the standard competency based interview questions that you would expect (team work, problem solving, leadership) to be asked and make sure you have a range of situations that these answers can be taken from ie University/internship/clubs and societies/part time jobs. UKPN are big on accountability so make sure you talk in terms of 'I did this, I did that' rather than 'We did this' etc so you are actually putting across your personal skills and the value you have added to projects you have completed. Know the company and learn company background. Otherwise, nothing much really. The people who interview you or at the assessment centre were very nice and they always put you in ease. If you apply for engineering role then I strongly suggest that you learn something about distribution network, transmission line, electric cables (insulation, conductivity, resistivity and so on) and if possible learn something about substations. Have specific information on the type of procurement you would like to go into. Gain information of what qualifications you could gain in the future. Look into what products the company buys. What are the aims and targets of the company? What area of the company would you like to look into? Time where you have shown leadership/team work/initiative and safe working. 1.Take your time when answering the specific questions on the application form. 2.Prior to applying do plenty of research into the business itself, but also the market/sector UK Power Networks operates within. 3.Make sure you actually answer the questions. Don't simply overload the page with as many facts and figures as you can think of. It is quality not quantity when answering the questions on the application form. 1.Be yourself. 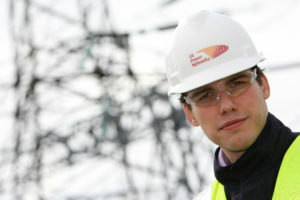 The recruitment team at UK Power Networks can see straight through candidates that are acting. 2.As with the application, do plenty of research so that when you are answering questions in the interview, you can relate your answers to the business and its operations. 3.Try not to carry on talking unnecessarily. This is easier said than done, but try to be concise and to the point. 4. Don't be afraid to ask questions. 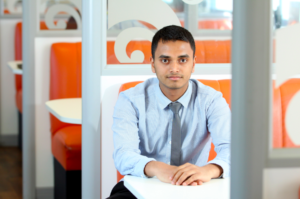 The business likes inquisitive people, and by asking questions you have the opportunity to show the interviewer that you have a keen interest in the business and the graduate scheme. Interviewed originally for Graduate Scheme. Interviewers were far more interested in general ability and attitude than technical knowledge. Webcam Interview - Standard company based questions. Assessment Centre - Problem solving while working in small groups. Formal Interview - Questions on technical background and attitude. - Demonstrate corporate work experience. - Demonstrate all rounded interests and responsibilities. - Be confident in presenting and communicating ideas spontaneously. Have a good read of electrical theory and consider how changes in the energy markets will affect power networks. Read up on the electricity distribution industry, Ofgem, and how the industry is regulated prior to the interview. 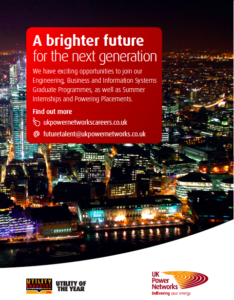 Try to get as much work experience as possible within any engineering sector whilst you are at university. This will give you a much greater breath of experience into how large companies work and most importantly give you much more pertinent answers to competency/experience based questions when you come to submitting CV's and answering interview questions. Before coming for interview, make sure you know all the basics around how electricity is distributed in the UK, the UK electricity regulator and the types of plant and equipment used in distribution networks. Having a solid understanding of the technical aspects of electricity distribution will hold you in good stead come your interview, and not leave you floundering at the first question. It is most important to exhibit the right attitude and to fit in with the company values. Reserach thoroughly and look into the company's relationship with ofgem. What are the future challenges financially and technologically? Be calm and honest. If you do not know the answer to a question say so and try to take an educated guess. Look into the challenges of distributed generation on the networks. Have a look at the safety focus of the company. Do your research before applying to the company, do your homework read about the company, their projects, their business which can all be found at the company's website. Be confident, have knowledge about the company as much as you can and company's business. Electrical background is always a bonus. Research the company, how it operates, what a DNO is etc. Have good customer service knowledge. Honest and research about the electricity distribution. Practice numerical and verbal reasoning. Portray relevant industrial/technical work experience either in the form of internships or work roles following graduation. Practice your competency scenarios and portray all round transferable skills. Do background research on the UK electricity industry so that you go into the interview/assessment centre with some idea of what UK Power Networks actually does. Most of the assessment is on general competency, but it's a good idea to brush up on electrical theory, particularly pertaining to transformers, electrical protection, and so forth. It's also a good idea to read up on innovation and current developments in the electrical industry (e.g. embedded/distributed generation, flexible plug-and-play, Low Carbon London, electric cars etc). I was asked what happens to current when you have a short circuit on an electrical network. I was asked what factors effect the amount of current you can run through an underground cable. Others were asked what causes the voltage phase angle to change when it goes through a transformer. Research the company website. What are our vision and values? Understand the challenges and opportunities that UKPN are going to face in the future. Do research about the electricity distribution sector and understand what they actually do. Be yourself! Don't try to dazzle with technical knowledge as that can be learned 'on the job'. What is really important is to show that you are a great communicator, quick to learn and that you can listen and act on instructions whilst maintaining your own opinions and ideas. At the end of the day this is a potentially dangerous industry so a 'safety first' attitude is a must. Preparation is the key to success - do your research into the company and the industry. Be confident without being arrogant. Smile, don't be afraid and try to enjoy yourself. A happy employee is a hard working employee! Don't worry if you don't know an answer, just show that you know how to approach finding a solution - admitting that you don't know something can be hard to do but in a potentially dangerous industry it is a very important quality. Only apply if you have a genuine interest/hunger to learn of power distribution networks. You don't have too much knowledge about the industry beforehand, but you should want to learn as otherwise you will not enjoy the graduate programme. For the team activities, always be willing to hear others. Also, I found it easier if you try to create a more conversational atmosphere this helps in helping people feel more comfortable in saying what they think and is conducive to achieving the objective. For the presentations, do not be afraid to pause before answering a question - this often gives you the time to construct a more accurate and relevant answer. Do your homework on the company's role, and current projects being undertaken for the final interview. Be honest, it's just as much about you gaining a feel for what the company is like. You can't really prepare for the assessment center so just be calm and be yourself. Again be honest and come prepared with some examples you can talk about for the competency questions. Reasearch the company well, understand the core principles of what the company does and undertakes. Be honest and show that you have charisma. It is not just about academic grades and show that there is more to you as a character other than being smart. Leadership questions were asked along with company stakeholders so do your research. Know your basic electrical theory but this won't be very challenging as this is not necessarily a technical interview. Confidence and ability to admit if you don't know things. No one expects you to know everything because after all you're just a grad. For the assessment day, do not think about what assessors may or may not be expecting from you - just focus on solving the problems that you are given; attitude and team playing it's vital. DO NOT WORRY. Your Reasons behind your choice is a common question - why do you want to work for UKPN? Most of the application is more focused on soft-skills and decision / thought processes than technical. There will be several 'competence' questions - have some example stories of things you've done, focused around the key competencies. Technical part - you won't be asked to do vector calculus, they're more interested in your technical understanding of electricity network issues. Do a bit of homework. Always have understanding of the company you are applying to. Come in with knowledge of what you can offer and what the company can offer you. Understand your areas of interest within the company looking into job roles they may offer in the future and prepare to ask questions about these. Also display your knowledge about how you want to progress in the company and why you should be the one for the job. Find specific knowledge around recent activities within the business and ask about that. Also ask what the interviewer does on a day to day basis to gain an insight into a possible career path. can be long days if you encounter problems. Very Safety conscious, employee engagement, training is supported. Sometimes procedures may take longer to complete. The management, the executive team and the CEO, they are humble, accommodating, friendly yet amazing at what they do. You will be heard and involved, if you work for it. There is a culture of reward for hard work in respect to opportunities and career progression. The outsourced I.T issues (IBM), software can be extremely slow to be implemented and there is a bad track record communication. Very big on safety and wellbeing of employees. Large company that can be difficult to get a good understanding of how everything fits together. Office environment, lack of connection between department, segregated offices as covering very wide area. The support you get in the company is just amazing. you feel welcomed from the first day and everyone is happy to help. personally I do my job with integrity and working in an integrity driven environment has been amazing. Innovative, employees are valued, open to change. Very big organisation, hard to communicate in different locations as we are spread-out. The company has great values and huge emphasis on safety. Not everyone is embracing company culture, therefore, their behaviour is reducing the overall success. Dynamic working all over London, a lot of people to meet and network with. Slow work pace as is a DNO that is regulated (nature of work is slow). Ample training opportunities, Career progression, Office culture. Very supportive of employee well-being as a whole. Very good salary offerings. Has business in a wide range of industry sectors with many opportunities on offer. Regarding the attitude to the graduate scheme, certain departments can have their own immediate interests above graduate development. This leads to optimum development opportunities being denied or missed, which is not the overall intention of the graduate scheme. Company is part of the core infrastructure, which makes the work more impactful. Company is determined to be the best in the industry. They are striving to be the best DNO in the country. Career progression and support from colleagues. It can be difficult to keep a project moving in the right direction with legislations. It is not a very well known company as we are only in the news when the power goes off. The nature of the work and support available. Everyone is really busy so sometimes it's tough to get a response from people. Pay, good company structure, good training, good health and safety, good work/life balance. Work load can be a bit slow to start with for new starters.